JERUSALEM (Reuters) - Israel's top court disqualified on Sunday a far-right Jewish politician from next month's national election and approved the candidacy of a disputed Arab party, overturning March 6 decisions by the election board, a court statement said. The Supreme Court rulings were widely expected and unlikely to shake Prime Minister Benjamin Netanyahu's efforts to craft a rightist alliance that might secure him a record fifth term. 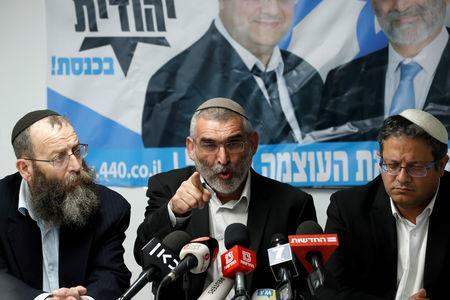 The court found in favor of appellants who argued that Michael Ben-Ari of the Jewish Power party had displayed anti-Arab racism. That view was backed by Israel's attorney-general. 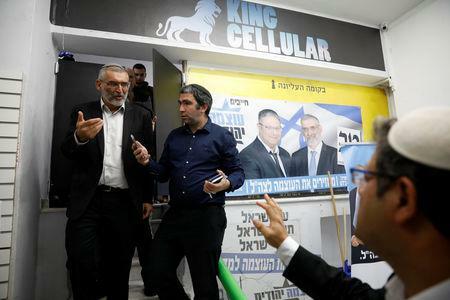 Other members of Jewish Power, a small faction that is part of an ultra-nationalist list which last month forged an election alliance with Netanyahu's Likud party, remain eligible to run. The Central Elections Committee, a monitoring body made up of delegates of parties in the current parliament, last month approved Ben-Ari's candidacy while disqualifying Raam-Balad, a joint party list representing some of Israel's 20 percent Arab minority. Justice Minister Ayelet Shaked, a fellow rightist in Netanyahu's outgoing coalition, said in a statement that the court's blocking of Ben-Ari "while declaring terror-backing parties kosher is a crass and misguided interference in the heart of Israeli democracy". Netanyahu's bid for reelection has been challenged by a centrist newcomer, former armed forces chief Benny Gantz. Their escalating exchanges of allegations have included corruption, bigotry, forsaking national security and abetting Israel's foes. The premier's partnership with Jewish Power also drew rare censure from the U.S. pro-Israel lobby and normally staunch Netanyahu backer AIPAC, which branded the party "racist and reprehensible". If reelected, Netanyahu will become Israel's longest-serving premier in July. That bid was dealt an unprecedented blow last month when Attorney-General Avichai Mandelblit announced a plan to indict Netanyahu for bribery and breach of trust. Netanyahu denies wrongdoing and could forestall formal charges in a review hearing after the election. 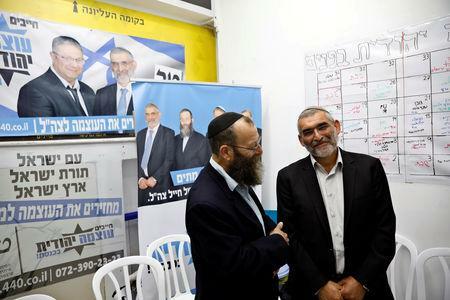 Raam-Balad, which held eight seats in the last parliament, said the Supreme Court had upheld its "fundamental right to represent our electorate while Netanyahu and Gantz compete to see who can incite more powerfully against the Arab public".